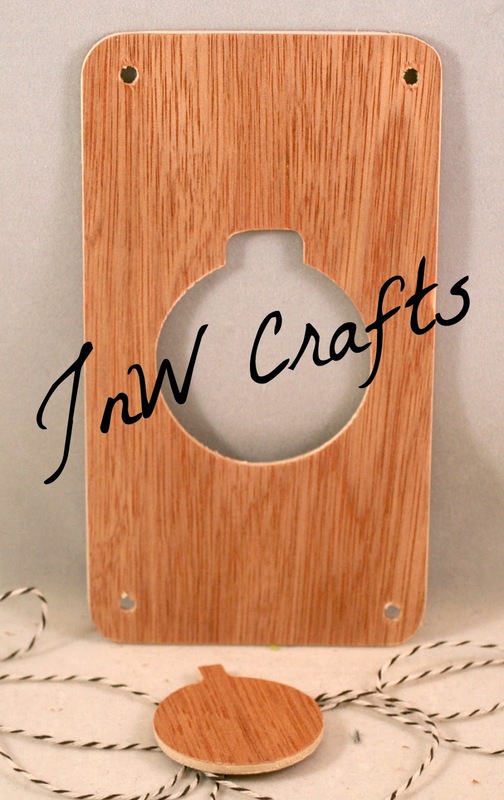 We are a small town, family run business that creates unique templates and embellishments from wood and acrylic mediums. The different mediums allow more options for you the consumer. And we all want more options, right? So very close to the spookiest of nights, so of course we have one last Halloween project to share. And I'll let DT member Bev code give you all the details of her amazing card. 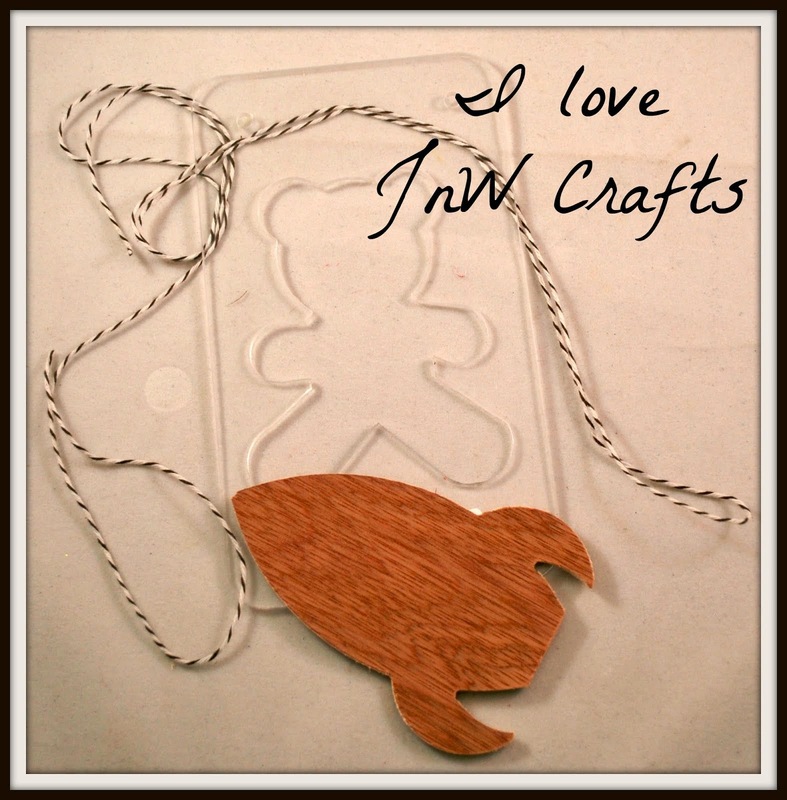 Welcome to JnW Crafts today. 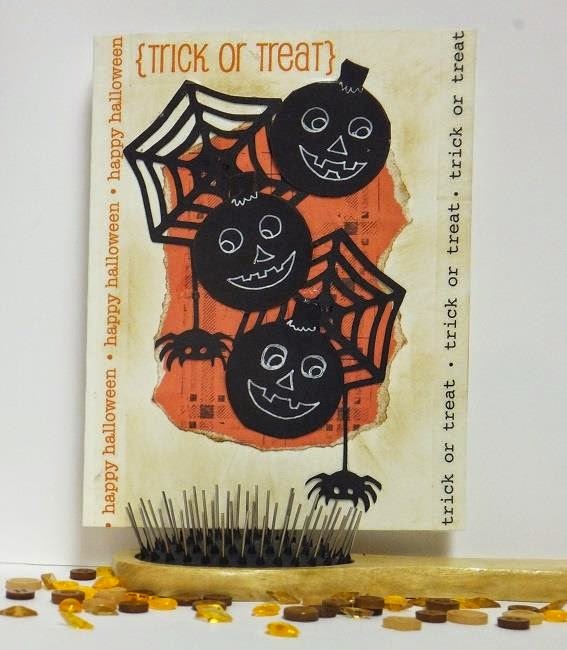 Halloween card is perfect for this time of year and month. Using this ornament template I drew my pumpkins onto black cardstock. I was looking for the chalkboard effect. Then using a Signo white gel pen you draw the faces. So easy but what a cute card. Background is a ripped piece of paper stamped for texture and dimension. The webs with spiders are Cricut cut and glued on. Add some ink on paper to soften the colour, and last is the SRM side border stickers and the sentiment. We would never encourage stealing, but we'll make an exception for this. Feel free to take our badge!